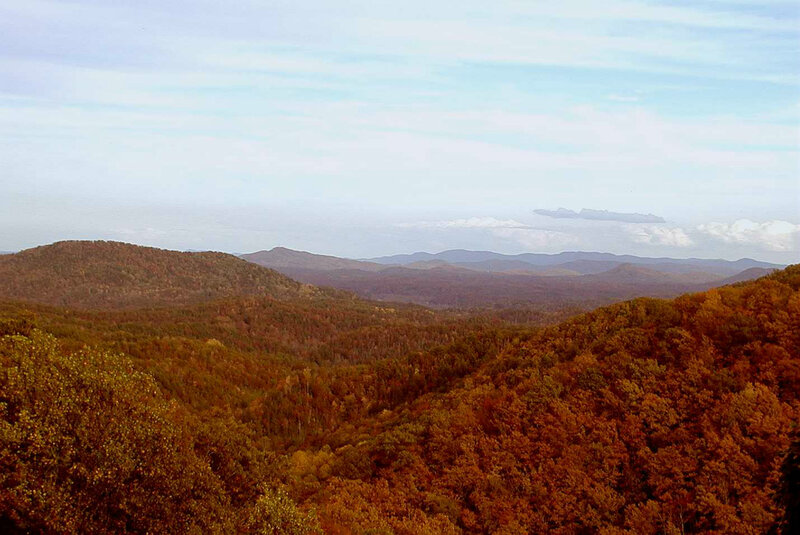 The western end of Point Lookout Trail, near Black Mountain and Ridgecrest, is at the junction of our road (Mill Creek Road) and Yates Avenue/Old Hwy 70, about 1.5 miles from the Inn on Mill Creek B&B. 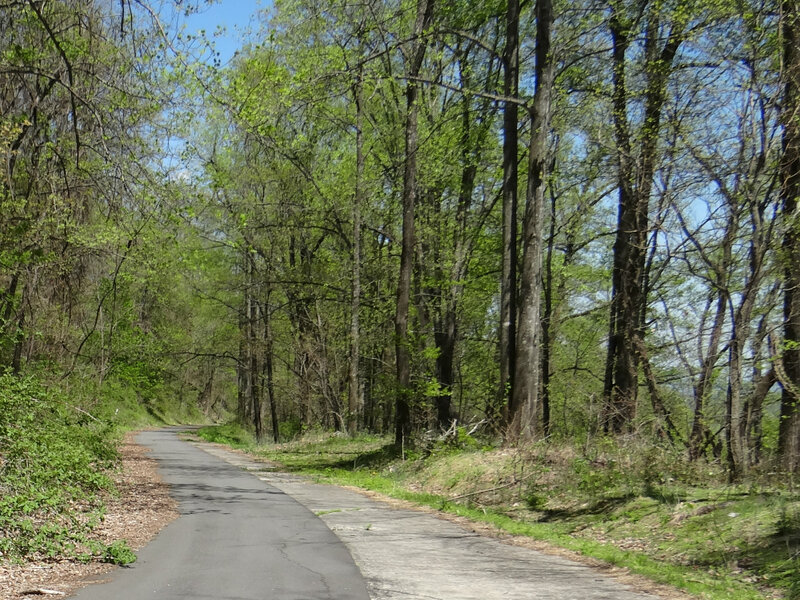 The start of the trail is, in fact, a landmark that we use when giving driving directions to guests. The other, eastern end is near the Old Fort Picnic Grounds and is about seven minutes from the Inn. Most of Point Lookout Trail is inside Pisgah National Forest, so it’s a great place for viewing natural beauty. Fall is the most popular time to be on the trail, with stunning fall foliage everywhere, so the good news is that the trail will be closed only through the summer. Beginning May 31, 2016, work will begin on Point Lookout Trail to repair damage caused by a landslide last year on the trail, and to build retaining walls as a preventive measure to keep the trail from getting further damaged by future slides. The work is anticipated to be finished sometime around September 1, 2016. 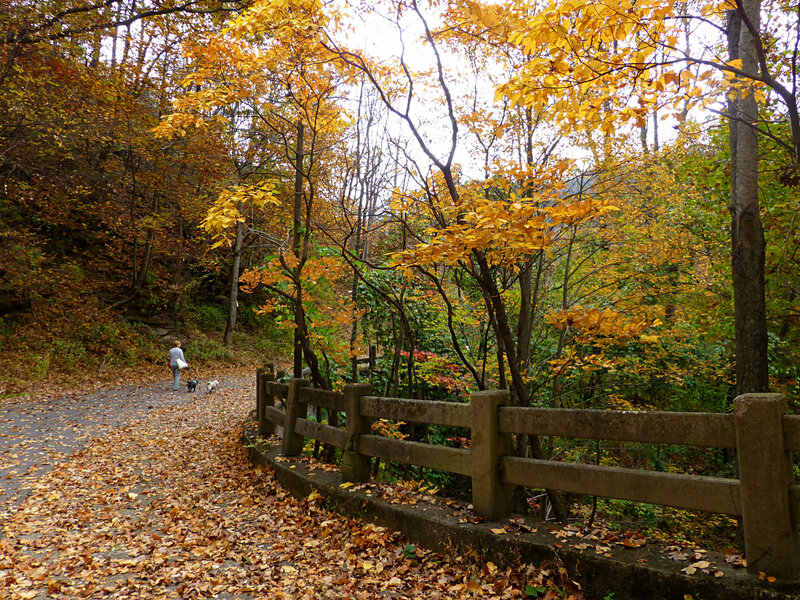 And then on to the fall season and fabulous walks like these on the trail. This entry was posted in Hiking and Waterfall Trails and tagged hiking, Old Fort, outdoors, Point Lookout Trail by Inn on Mill Creek. Bookmark the permalink.